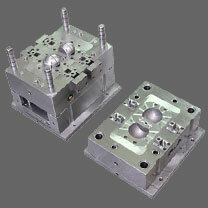 Home » Mold Tooling » Why precision injection mold cost is high? Every single piece/part of a mold is a one of a kind custom made part and a mold may require hundreds of parts. One must understand the difference between Price and Cost. To obtain an injection mold that meets the most demanding duty cycle (24/7) and operates within a good processing window, which also is of a robust design that is not prone to component failure will have a higher price tag than lesser molds. In today's tooling culture I see "High-Precision" as a gimme - any mold maker worth consideration will have the technology to produce whatever accuracy might be required. The CADDS driven processes in most mold shops have all but eliminated "Hand Fitted" tweaking of components, so it's the quality of the mold design that will determine how well and trouble free a mold will perform over time. Getting beyond the injection mold itself, is the molder capable of running the mold in a comparable molding press? Does the molding environment have all the required ancillary equipment to handle the specified resin and assure QC Gates for the entire process? I ask the previous questions because I have seen "World Class" molds mounted in presses that were not capable of ever running the mold to desired expectations, so the mold was blamed for poor performance. Putting "Precision" aside, a good mold shop should offer a number of tooling options to a customer that should cover a variety of performance scenarios which agree with projected product/program requirements. These options would typically create cost tiering of perhaps 3 mold design types that the customer can select in order to meet the program demands. Every mold company can make a precision mold. If the mold was not made to the required standards or specs it's because the technical staff on behalf of the purchasing company dropped the ball. If the parts from the mold was made using files, chippers, knives or sanding---- then again the technical staff on behalf of the purchasing company dropped the ball. If point 2 above was acceptable---- then you didn't need a precision injection mold in the first place. If the molds were not built to strict tolerances, again-- the technical staff on behalf of the purchasing company dropped the ball. If you don't specify the source of the steel and components and request the certifications from the manufacturer, again-- the technical staff on behalf of the purchasing company dropped the ball. The good mold making companies in China have the very best equipment money can buy--- same as the EU countries or US. The country of origin has nothing to do with the quality you receive. Everything is dependent upon the specific source company chosen and the degree of involvement by a competent technical staff on behalf of the company buying the mold. If you fail to provide standards and detailed specifications to the supplier, you will get what he decides to build and not what you necessarily want. Therefore you not comparing apples to apples and see a wide quote variation.